If you want to install and setup RetroArch on the Raspberry Pi (TM) together with various emulator cores, all needed libraries for the SNESDev controller interface, and a graphical front end you can now go to https://github.com/retropie/RetroPie-Setup. 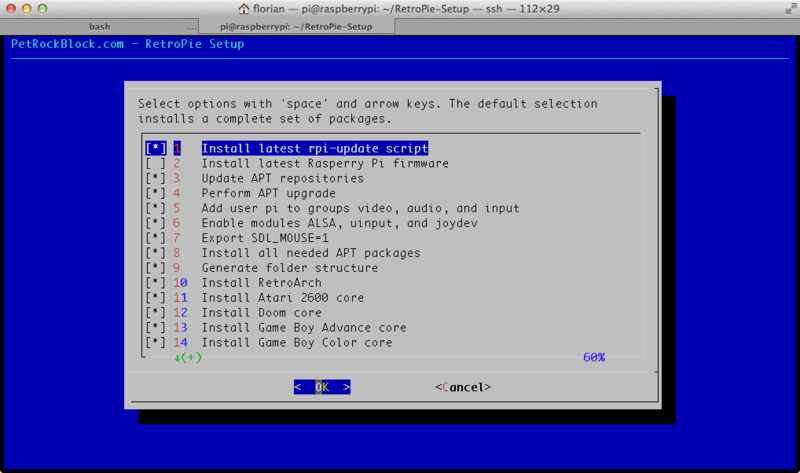 There you will find an easy-to-use script that installs all essential packages for retro gaming on the Raspberry. I call it RetroPie script. I prepared a Github repository with a shell script that automatically installs all needed packages. It has a console-based GUI and makes the installation of everything you need for retro gaming very easy. The script was tested on the Raspbian distribution. The following instructions can also be found directly on the Github site. Binaries-based installation: This way of installation will download per-compiled versions of RetroArch, various cores, Emulation Station, and SNESDev. In comparison to the second way of installation this is much faster. Even though the binaries will be updated from time to time, a disadvantage is that you probably will not have the most recent versions of the programs. The default selection will install the complete set of packages. Before that, however, you need to copy your ROM files into the according RetroPie/roms/ folders. Every emulator has its own subfolder here. Due to the early stage of the ALSA implementation on the Raspberry you can expect some creaking when using the analog output. I made quite good experiences with the HDMI output. For now, another solution for that seems to be the use of an external USB soundcard until the problems with the ALSA implementation are solved. I really would like to see this script be further developed by you and me!! I think that Github is the right place for that. 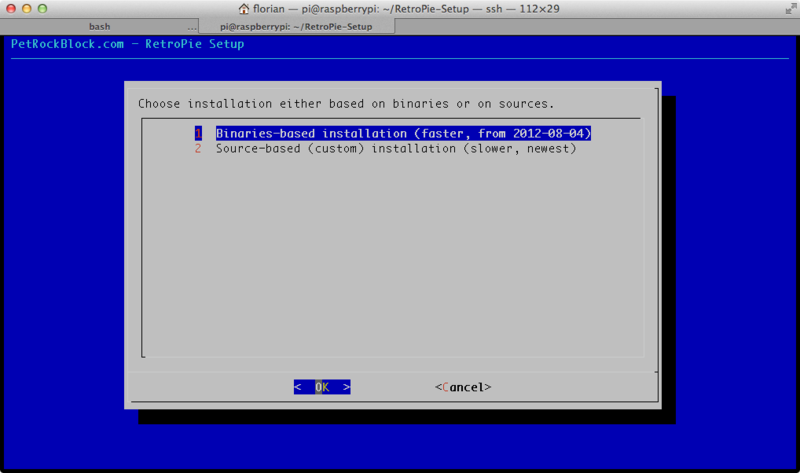 So i just bought a RPI 3 B, followed the instructions and get the message : SORRY – Raspbian/Debian Stretch is not yet supported on the RPI.